She has signed on as Friday’s managing director, replacing Simon Romanus, who has been in the role on an interim basis since Per Blankens left to helm American Idol for Fox in the US in May last year. Romanus will now resume his head of development position at Friday. Makaroff has more than 17 years experience in the TV industry, both in front of the camera and as a developer and producer of drama and entertainment series. 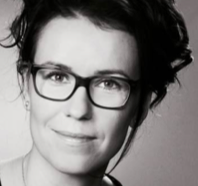 She exited FremantleMedia Finland in July last year after a spell as creative director, having previously been its MD. Her new charge, Friday, is behind shows such as Minute to Win It, Clash of the Choirs and Single Moms among other formats. It became part of Lis Murdoch’s Shine Group when the global producer acquired Friday parent Metronome for SEK719 million (US$110 million) in 2009. “I am well aware of the impressive history that Friday TV has with its formats and it will be my privilege and joy to lead this accomplished company,” said Makaroff. Carter worked with Makaroff at FremantleMedia, where he was COO until June 2012.